Tree of Tranquility @ Airedale Hospital NHSFT. 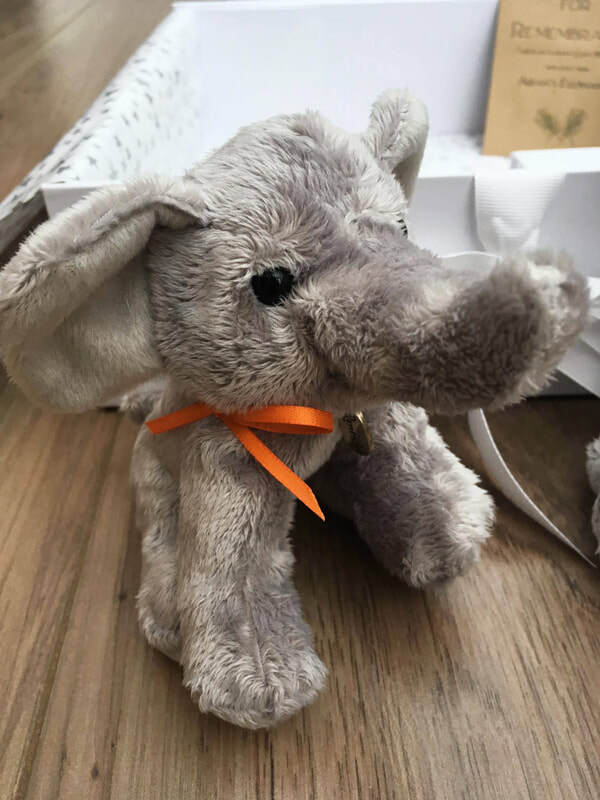 Aidan's Elephants funded the very first Tree of Tranquility to be placed in England, which was placed within the grounds of Airedale Hospital NHSFT in May 2018. The Tree stands within the beautiful and meaningful surroundings of the Sunbeam Garden (Baby Remembrance Garden). The Tree of Tranquility was commissioned via the charity SiMBA, who have provided and funded five beautiful Trees of Tranquility in Scotland. The life sized sculpture is beautifully handcrafted from recycled metals and bears individual leaves which can be engraved with personal messages, each one representing a forever loved and missed baby or child. The Tree of Tranquility and Sunbeam Garden is a collaborative project made possible by Airedale Hospital's 'Sunbeam Team', Aidan's Elephants and SiMBA, who spent over six years working together with determination, hard work and love to bring the project to reality. If you would like to order a leaf to be placed on the Airedale Tree of Tranquility, you will find the details further down this page. 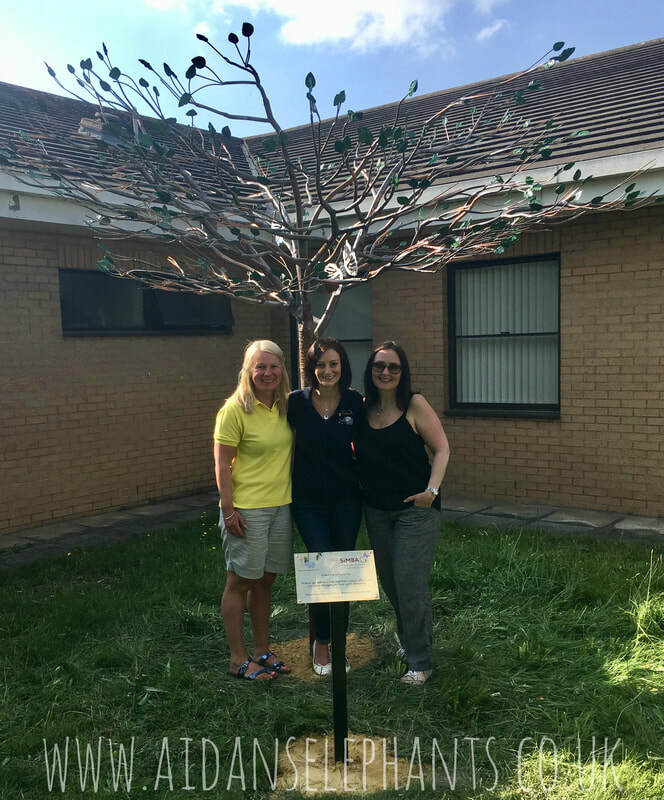 Beverly Beaumont (ANHSFT's Bereavement Midwife), Helen Chhokar (Co-Founder & CEO, Aidan's Elephants) and Sara Fitzsimmons (Executive Director, SiMBA), in front of the Tree of Tranquility which they worked collaboratively for over five years to have placed within Airedale Hospital's grounds. To order your own leaf for Airedale's Tree of Tranquility, you can either complete the online form via this link, or you can download, print and post the form below. Our local approved engravers for the Tree of Tranquility Leaves are Timpsons Ltd in Keighley, although you can of course take your leaf to any engravers of your choice. We know that taking your leaf to be engraved may be a very emotional experience, and therefore the staff at our approved engravers have been visited by ANHSFT's Bereavement Midwife, Bev Beaumont, to ensure that they understand the sentimental importance of each leaf. If you would feel more comfortable, you can call ahead and speak to a member of staff at the branch before taking your leaf in. Timpsons Ltd Keighley have very kindly agreed to cap the price of engraving for Tree of Tranquility Leaves to £12, regardless of how many characters/words you would like engraving. They have also offered to provide a postal service for parents/families who wish to have their leaves returned by post rather than collecting them from the store. The charge for return postage is £4. Please download and print the form below, to enclose with your leaf.